Beautiful Story & Clark 121 Upright with Piano Life Saver System fitted. This piano is about 4 years old and was treasured by the owner. The only reason it is on our showroom floor, is the client upgraded to a Story & Clark Grand piano, which they equally love. 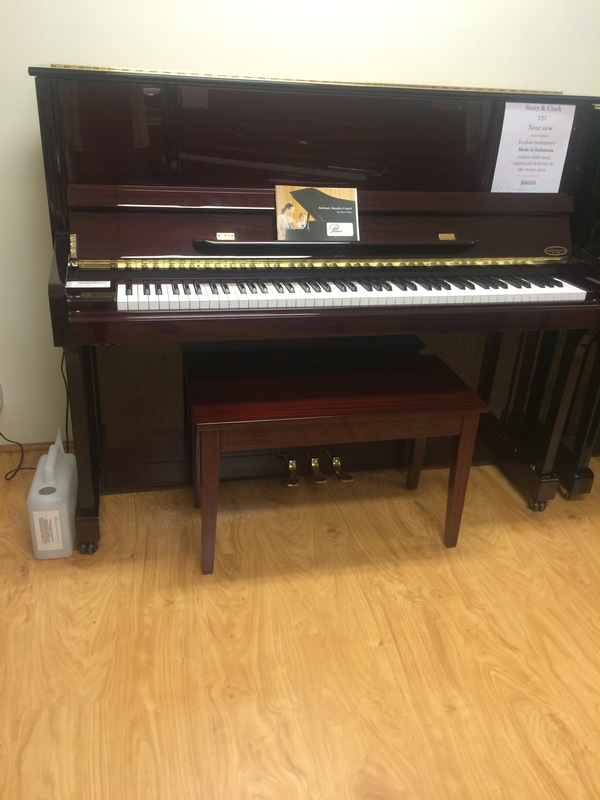 A fantastic buy for anyone that wants a very modern piano and wants near new. Lovely bright tone perfect for classical Musicians. Our store consultants invite you to come and play the pianos on our floor before you commit to buy. This is a great time for you to find the piano that you bond with. Bring your music if you need. Visit us at 79 Belgravia St, Belmont .